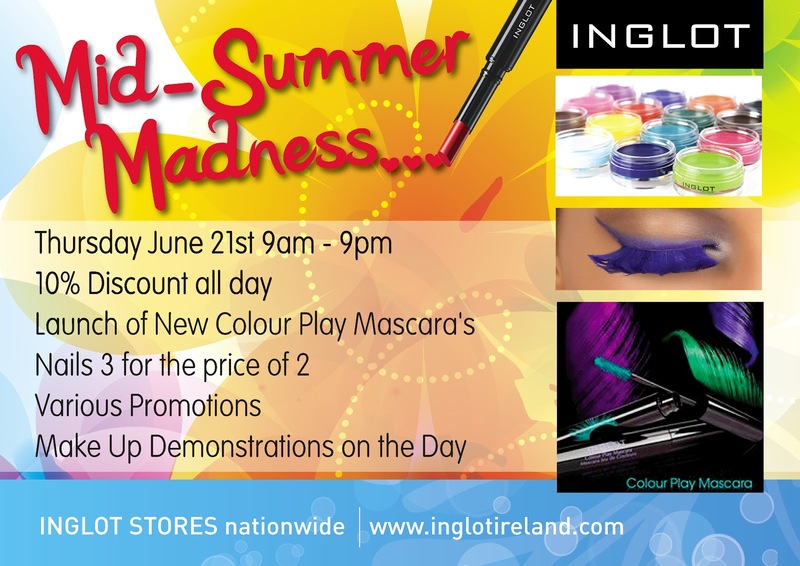 So I was recently invited to the INGLOT Mid-Summer Madness Event in the Crescent Shopping Centre in Limerick. 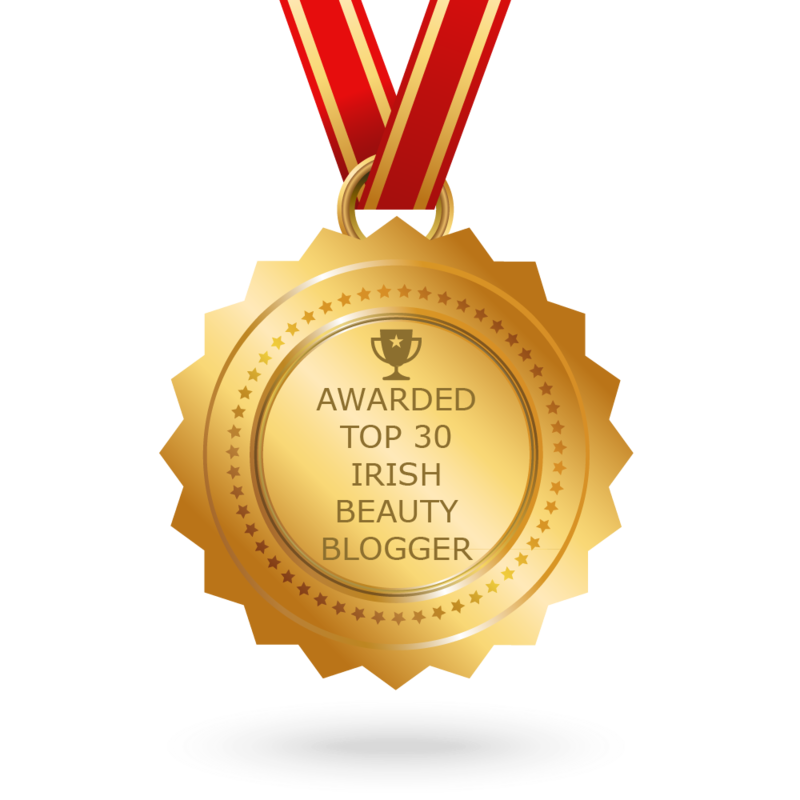 INGLOT is a brand I have raved about in the past and they continue to impress me. One thing that was happening at the event was the launch of the Colour Play Mascaras. Colour.... mascaras!!? Yep, breath, don't panic, it's not as scary as it sounds! Obvious if mis-used you may end up looking.....colourful, but when used in conjunction with simple make up, it can add a fantastic touch. The collection features 5 high pigmented shades and the benefit of thicker and fuller lashes. You can choose a colour to extenuate your eye colour or simply brighten up your look for summer. It has been noted that this look was prominent in the Stella McCartney Fall 2012 RTW Collection and if it's good enough for Pat McGrath (the Make-Up Artist for the event) it's certainly good enough for me!! 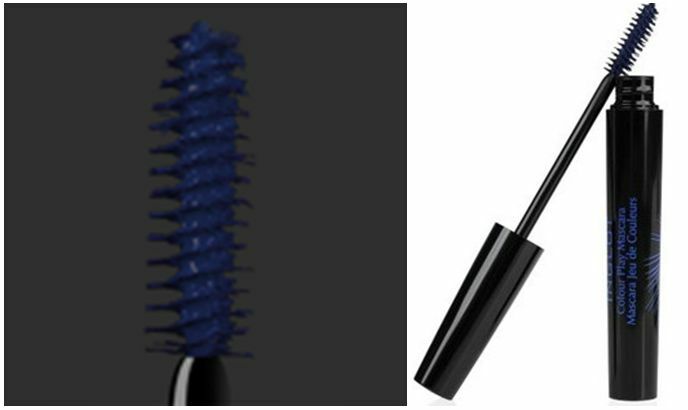 INGLOT Colour Play Mascara 05 Navy Blue. I was unimpressed with the look of the brown. I think a golden copper colour might have been a bit more fun. The next two colours 02 Green and 03 Blue are bright! They are as bright in person as they are in the above images! I wasn't quite ready for them so I opted for the last two colours, 04 Purple and 05 Navy Blue. I think they are a great in between of, out there and very safe. 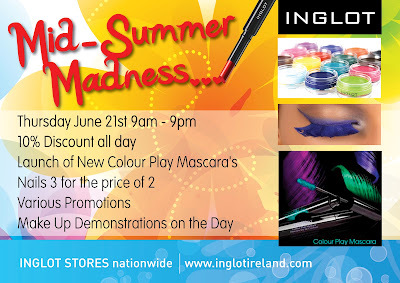 I was conscious of my eyecolour but Inglot Employee Alva helped me out when it came to colour recommendations. 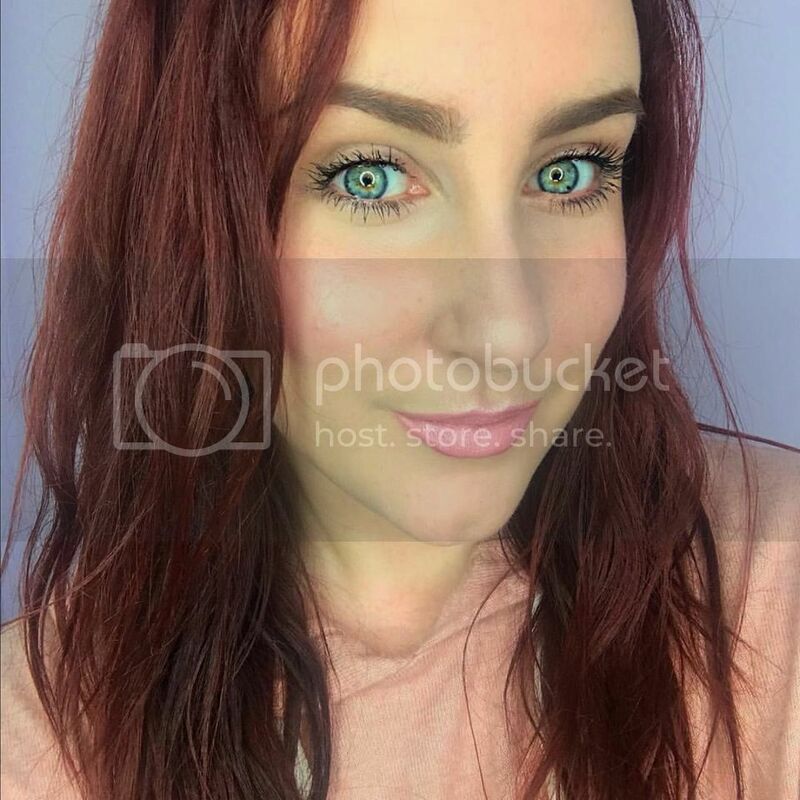 She made the great point however, that the bright colours could look fab just used on the lower lashes for a pop of colour.